Do you visit our LTVCA conservation areas frequently? Save on vehicle entrance fees and take advantage of our annual Day Use Permit. 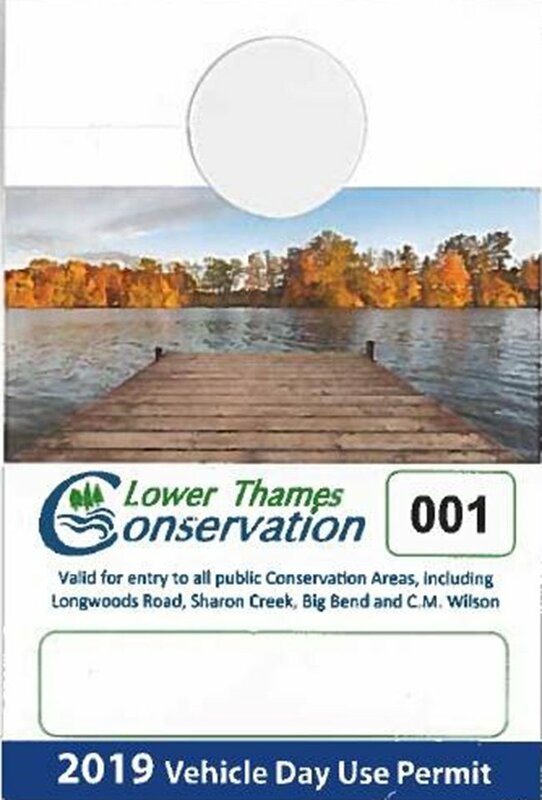 The 2019 Day Use Permits will allow entrance to all public LTVCA Conservation Areas including Longwoods Road / Ska-Nah-Doht Village, C.M. Wilson, Big Bend and Sharon Creek. LTVCA sponsored special events are included. Not valid for camping. Fees help us maintain these properties and improve user experience. One window hanger permit is valid for one license plate. The first permit is $50. For households with two vehicles, a second window hanger permit may be purchased at half price for $25. Hang the 2019 Day Use Permit above the dash on the rear view mirror of the vehicle. 2019 Day Use Permits are valid from the issue date up until December 31, 2019. When purchasing your permit, you will be asked to complete an application form with your licence plate number and vehicle info. Note: These Permits are not valid to enter Ontario Parks, National Parks or other Conservation Authority Conservation Areas.